Buncombe County government’s financial control systems work, but have been improved as part of sweeping changes focused on greater government transparency regarding taxpayers’ money since a federal investigation into former county manager Wanda Greene began this past summer, two county officials said recently. “The red flags did pop up and it was actually county staff that found the irregularities” that helped lead to the federal investigation of Greene, Jennifer Durrett of the Buncombe County Finance Department told the Buncombe County Tourism Development Authority last week. Durrett is the finance department’s audit and financial reporting manager and a certified public accountant. In the same meeting, Buncombe County Commissioner Joe Belcher told the TDA that there’s been a significant cultural shift in the way county government now operates. “In last four months, there’s been more changes at the county than probably in the last 10 years, and it all surrounds transparency,” Belcher said. 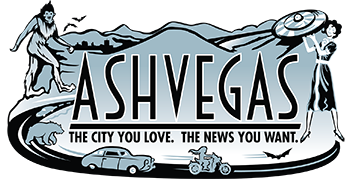 The comments came after a questions from tourism authority members, and during a portion of the meeting devoted to hearing updates about county and city government from ex-officio members Belcher and Asheville City Councilwoman Julie Mayfield. Buncombe County’s finance department serves as the Tourism Development Authority’s fiscal agent, so TDA board members are justifiably interested in how the department operates. Following a report on the TDA’s annual audit by Tonya Marshall of Gould Killian CPA Group, TDA board member Andrew Celwyn asked a series of questions about invoices, and whether they could be duplicated. “With some of the county finance issues, I feel like we need to ask extra questions,” he said. Marshall, Durrett and Stephanie Brown, president and CEO of the Explore Asheville Convention & Visitors Bureau arm of the TDA, all chimed in to explain the internal control process for invoices. But one area that Durrett said did need improvement was the general environment for accounts payable employees within Buncombe County government. These employees handle daily transactions and have intimate knowledge of county finances. “They didn’t feel comfortable asking questions,” Durrett said. “They didn’t know where they could go (with questions) and didn’t feel safe” questioning anything, she said. Now these employees are actively encouraged to bring questions forward and have multiple avenues to do so, she said. At the tail end of the meeting, Belcher offered an update on the recent work of Buncombe County commissioners and circled back to the issue of Buncombe County government’s fiscal controls. He said changes have been made to the county’s audit department and said some decision-making power that had been ceded to the board chairman in previous years had been taken away. “When we’re finding things that are broken, the bottom line is that they’re fixed,” Belcher said. “People also need to understand that the people who work at the county are fantastic,” he added. When asked if the investigation is complete, Belcher said he had “no clue.” When asked if the county was working with a consultant to institute changes to fiscal policies, Belcher said no, it was all being done internally. Durrett once again spoke up, noting that “we all have to take responsibility for what happened,” but significant changes have already taken place to address what went wrong. Durrett said information “was bottlenecked” and strictly controlled under Greene. Now there’s greater documentation and “we have more eyes and more people to go to” when there are questions, she said. While there was a framework for internal fiscal controls, “You can’t control against management over-rides,” Durrett said. What about the “Daily Planet” report that claims Greene threatened the termination of county employees who spoke to commissioners about financial irregularities?